I spent much of last year making quilts for one publication or another, for this fabric line or that fabric line but almost all on some sort of a deadline. 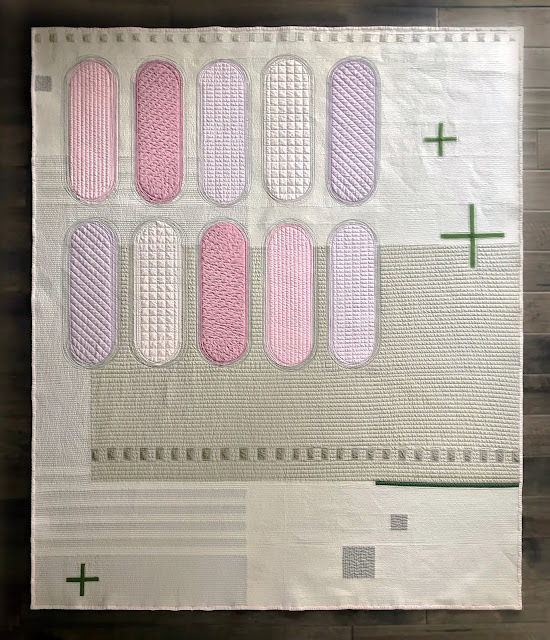 I started 2019 telling myself that this year was going to be different and I was going to make some quilts for me, taking my time and enjoying the creative process but before I knew it I'd booked several quilts for publication and had made four quilts all before QuiltCon in late February. 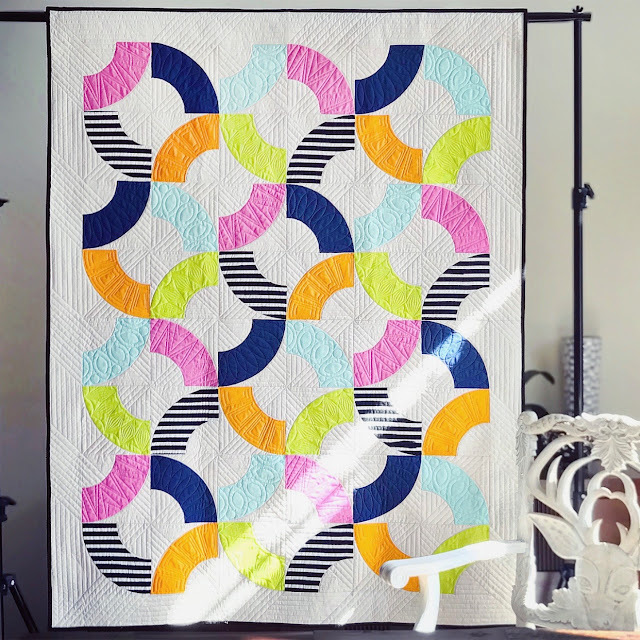 After QuiltCon, I caught my breath and decided to change course and make a quilt for me, my Why Knot quilt. I really didn't have to much of a direction. I knew what colors I wanted to use and pulled them from my stash and I knew I wanted to use the arc shape so I started designing and playing with layout. I finally decided to just start making! I used Jenny Haynes' 7" Double Drunkards Path template which comes with a great squaring tool. 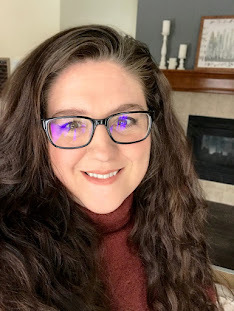 I'm back and finally getting over being exhausted but I had an amazing time at QuiltCon this year. 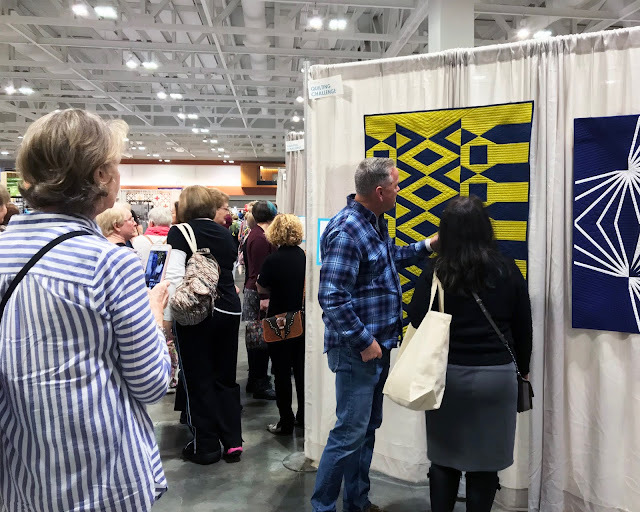 I think the best part of the show is running into so many fellow quilters that I've only met online, meeting all the new people and seeing old friends!